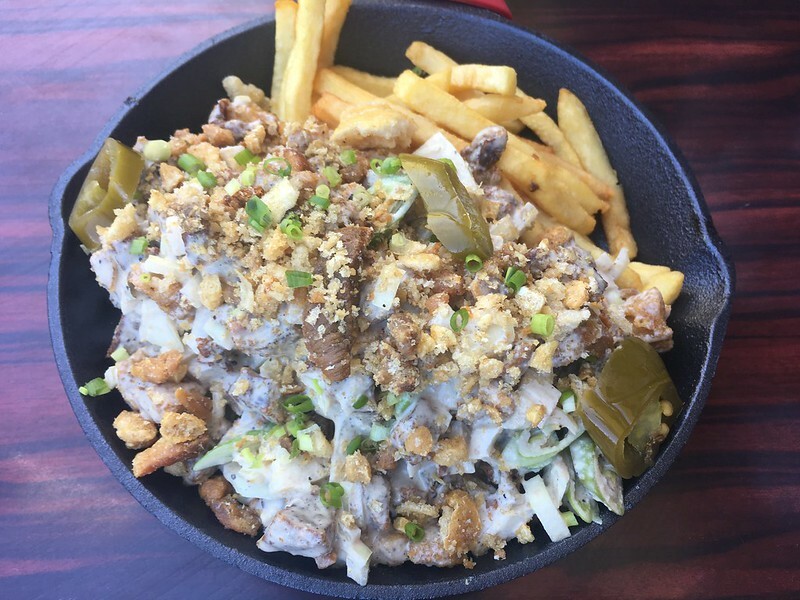 The Santa Rosa – Tagaytay Road is just teeming with strip malls with various dining options as well as standalone restaurants. Any foodie would be faced with the dilemma of where to eat with so many food choices available. 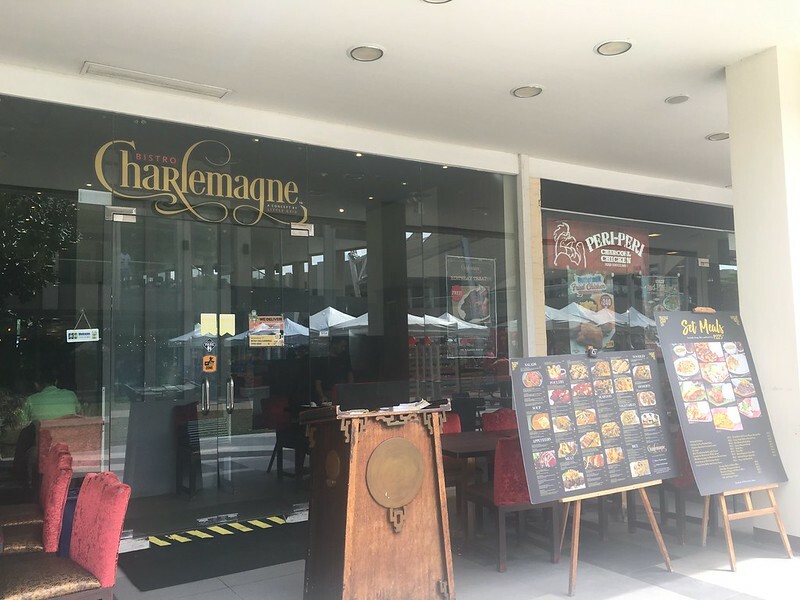 May I present the Bistro Charlemagne in Nuvali as a viable option? 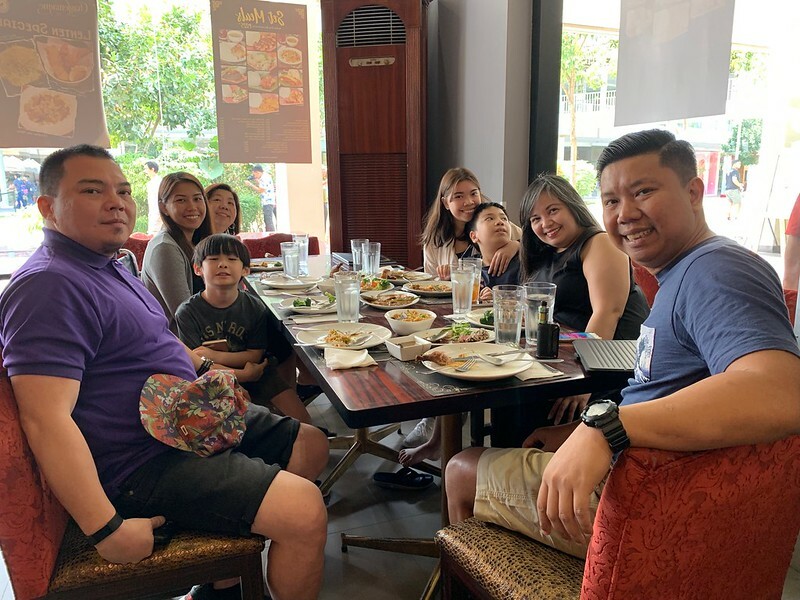 Here are seven reasons why which became even more apparent when my extended family made our way down here after our Tagaytay sojourn. 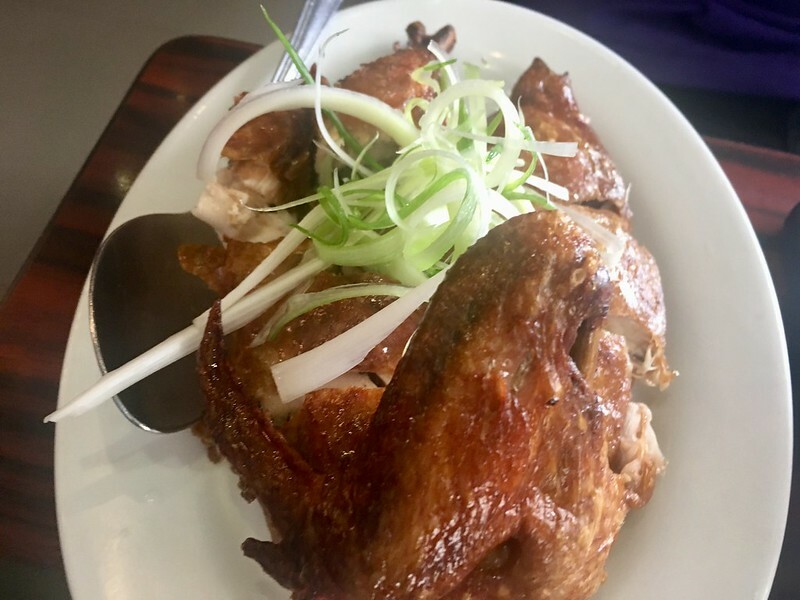 Being a third-generation restaurateur, owner Charlemagne Lim achieves the balance between tradition and novelty in cuisine. 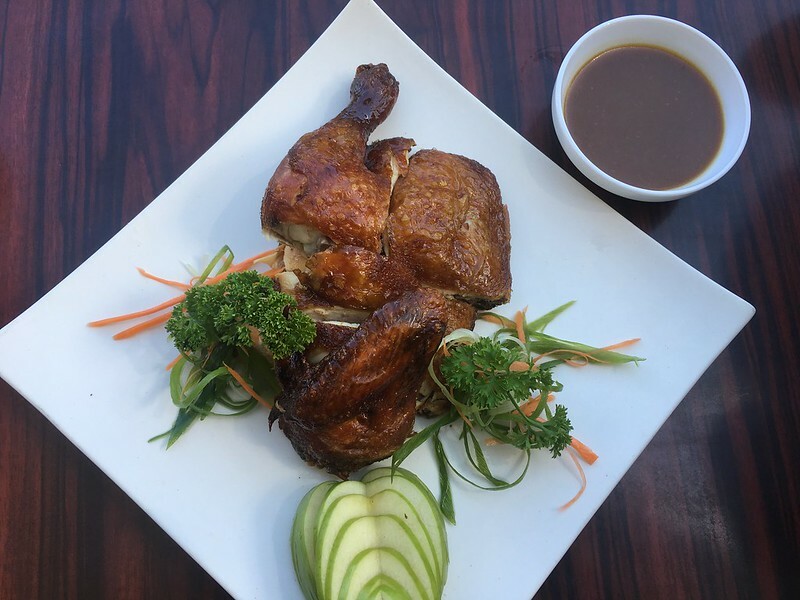 The offshoot of Little Asia, Bistro Charlemagne features a little bit of the well-loved dishes its mother-restaurant popularized and a whole lot of new or innovated-upon dishes developed specifically for this new concept resto. 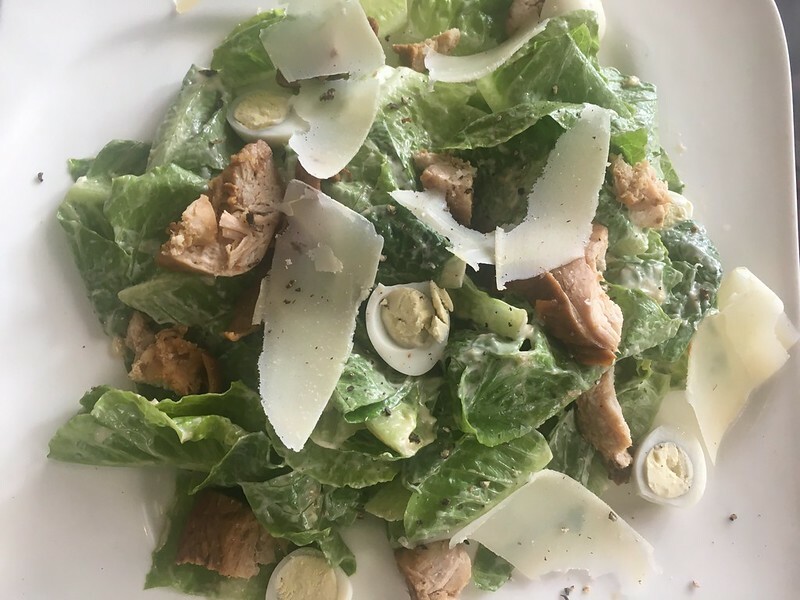 Take the Ceasar Salad (Php295) for example: the crisp Romaine lettuce, classic dressing, shredded chicken breast and slivers of parmesan cheese are to be expected and quite yummy… but add delicate boiled quail eggs into the fray? Say what?!? 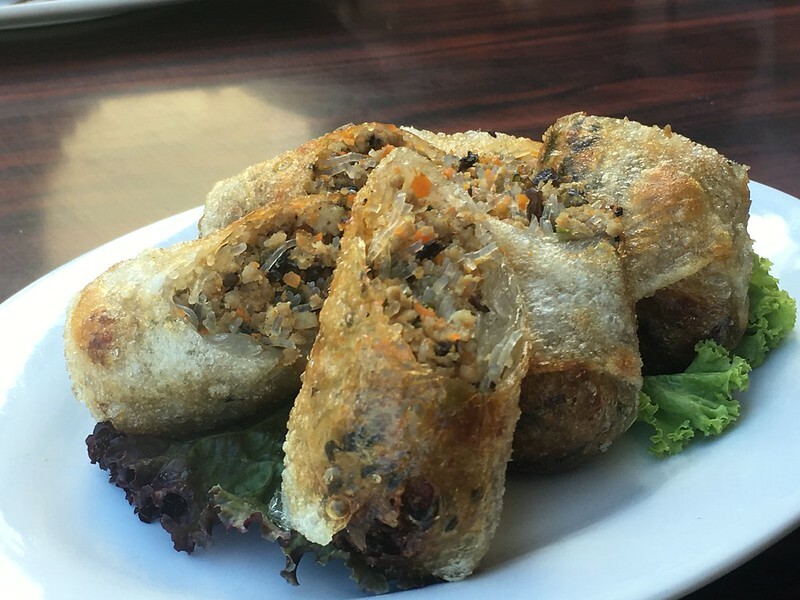 How about the Crispy Lumpiang Hubad (Php305)? 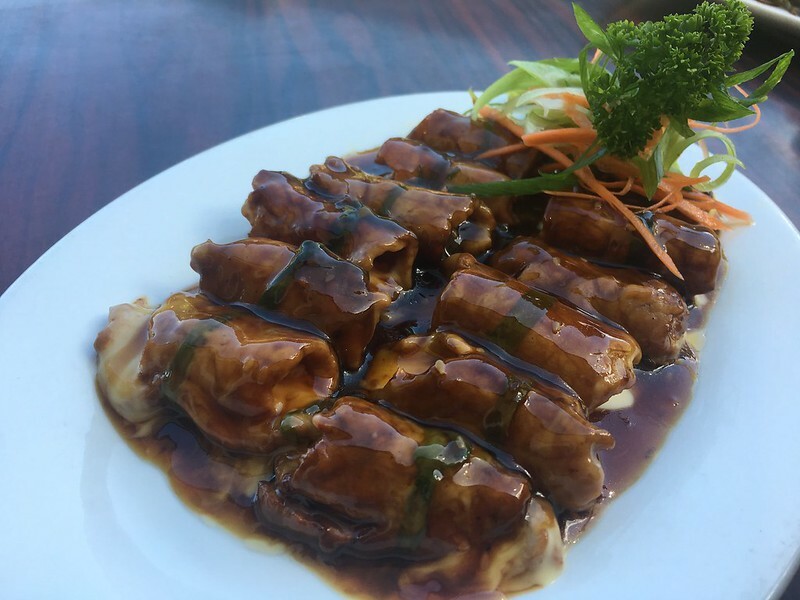 The classic shredded and sautéed vegetables that make up the local fried vegetable rolls of our childhood are served on top of a crisp pastry while doused in garlic sauce and sweet soy dressing. 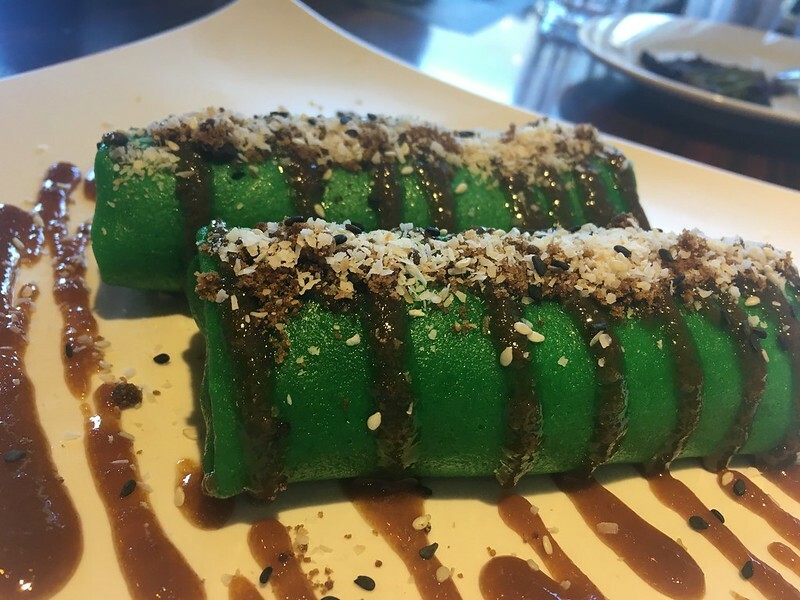 The much-raved about Beef Tenderloin Rolls with Cheese (Php405) did not disappoint either. 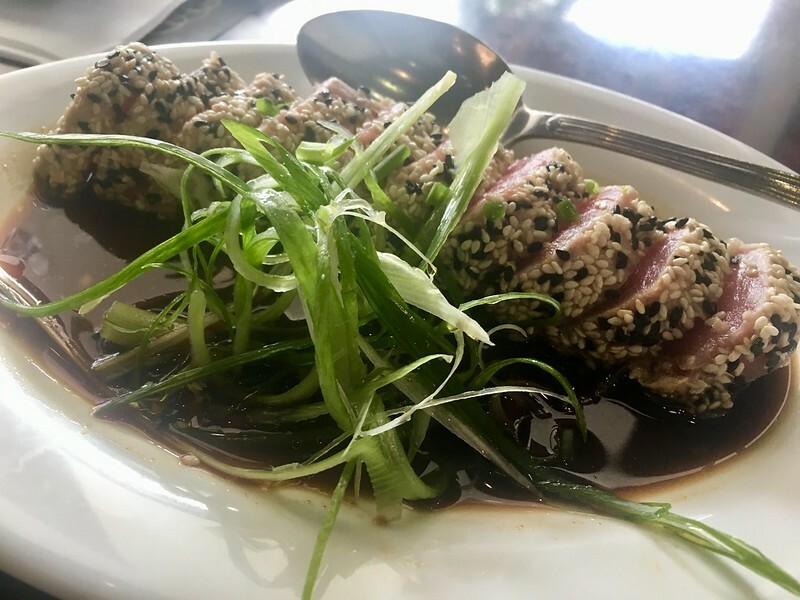 Our group loved the finely rolled tenderloin slices stuffed with melting cheese on top of authentic teriyaki sauce that we ordered for another plate of these goodies. Or consider, a new favorite of my daughter #ExhibitA and myself, the Drunken Lengua in Mushroom Brown Sauce (Php405). 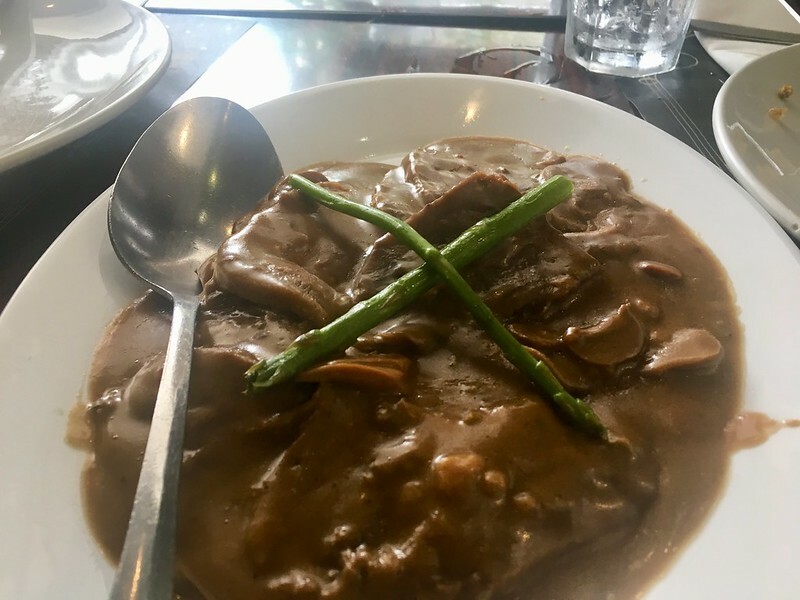 Those melt-in-your-mouth tender morsels of pan-seared ox tongue are served with mushrooms and asparagus spears on a bed of rich buttery brown sauce. 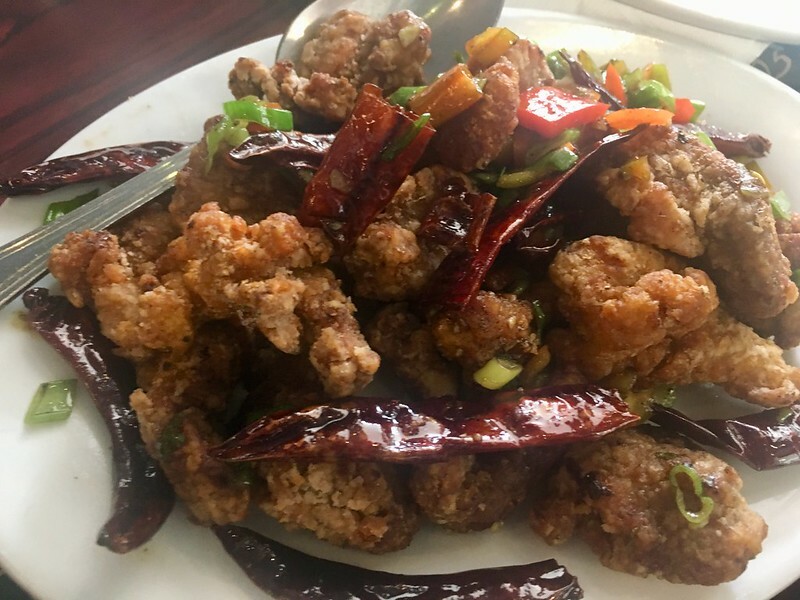 If you had misgivings about eating the more exotic meat parts like ox tongue, this will change your mind. 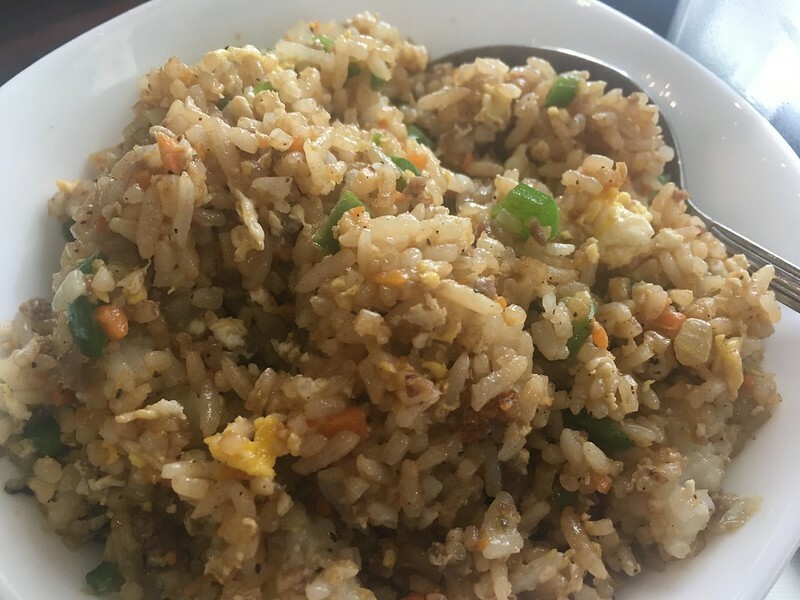 The Japanese Beef Fried Rice (Php125) tasted the Kamameshi Rice of Japanese restos but had a lighter feel. It went so well with our viands that we consumed three bowls of it. Two: Your favorites are here too! Missing the taste of the familiar? 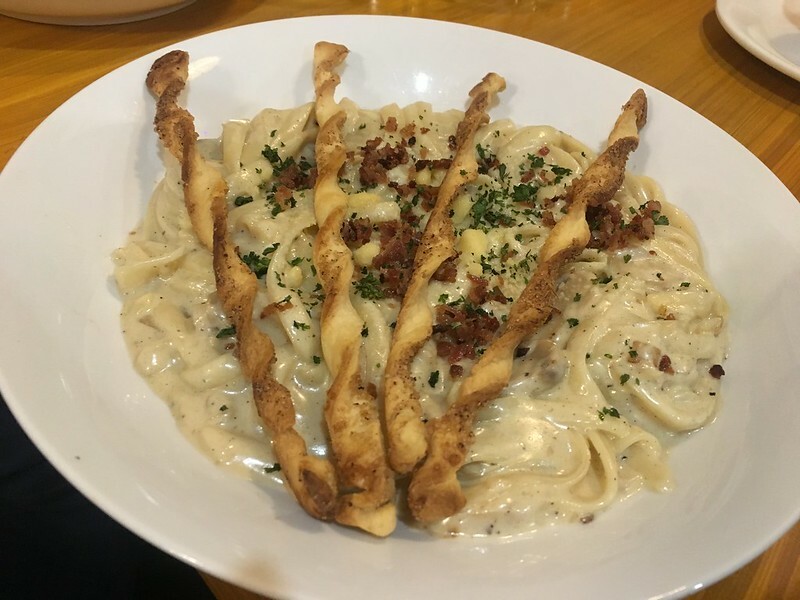 No need to fret because old-time favorites are also available on the menu for those seeking more of the flavors they loved and less of the adventure into the unknown. 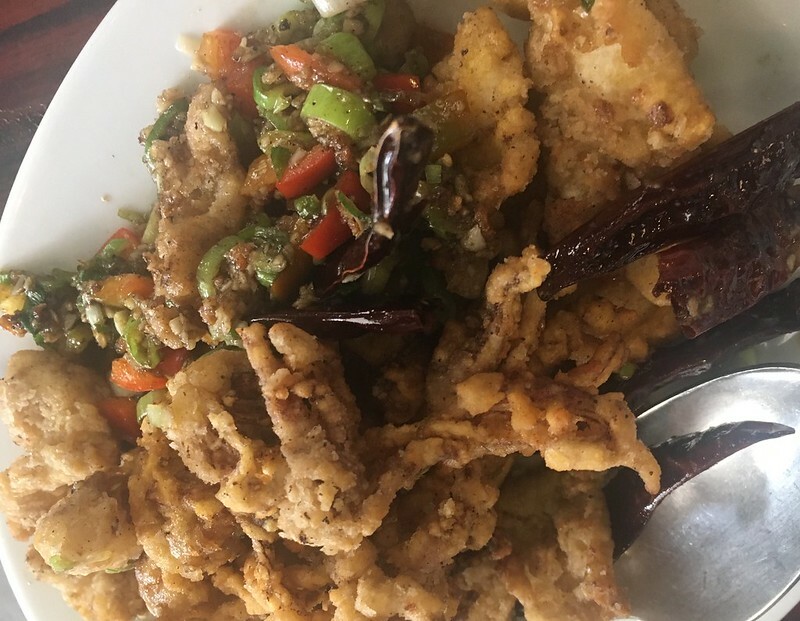 The Chinese food staples Salt and Pepper Spareribs (Php345) and Salt and Pepper Squid (Php365) rounded up our mains. 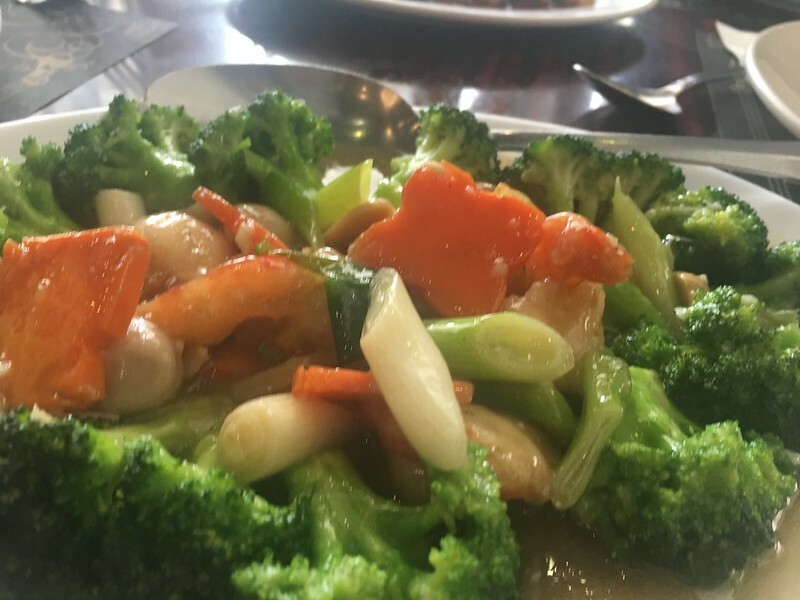 And because we Pinoys, for some reason, can’t fathom a family meal without a vegetable dish, there’s the Brocolli with Prawns and Mushrooms (Php445). 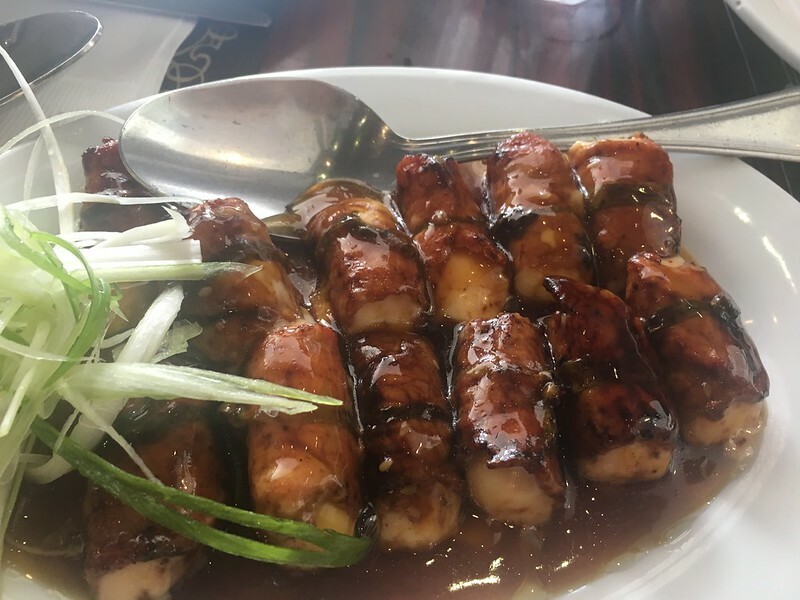 We had one of these as-is, while another was made without the prawns to suit the taste of one of the little ones in our party. Too bad the Chicken Fingers (Php345) did not make it to our table on time so we just had that wrapped to go. Knowing the kiddos’ predilection for peanut butter, I ordered a serving of Reese’s S’mores (Php245). 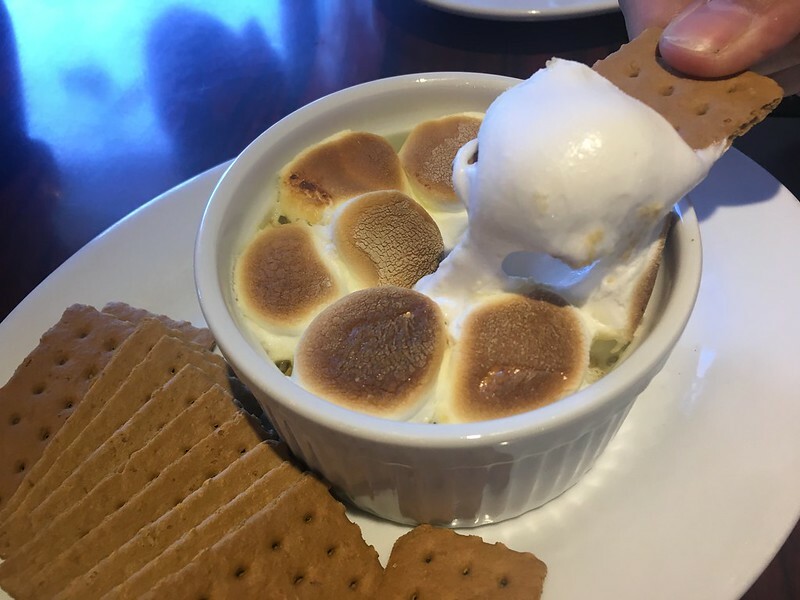 It turned out that dipping crisp graham crackers into warm toasted marshmallows resting on a ganache of peanut butter chips is a decadent treat, not just for the young ones but also for the grown ups! Four: Birthday celebrants get a special treat! 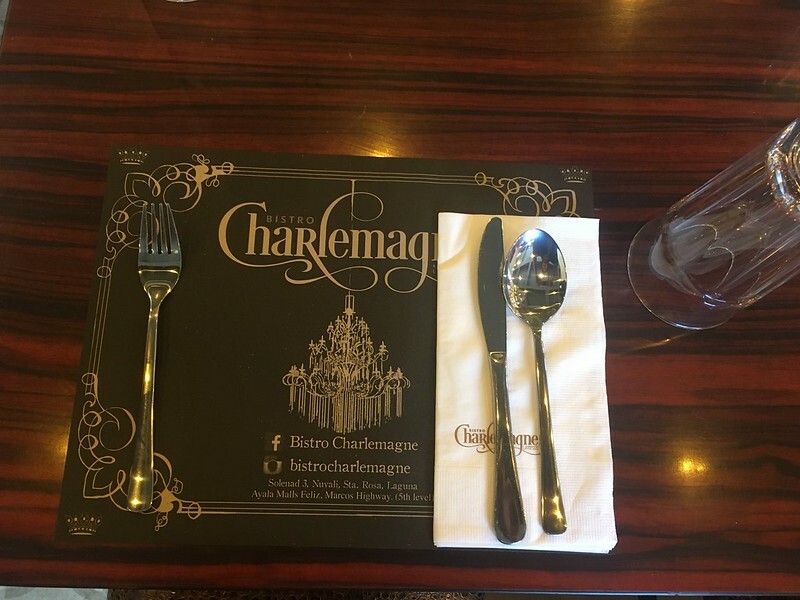 Five: Did you know Bistro Charlemagne catered to international stars? 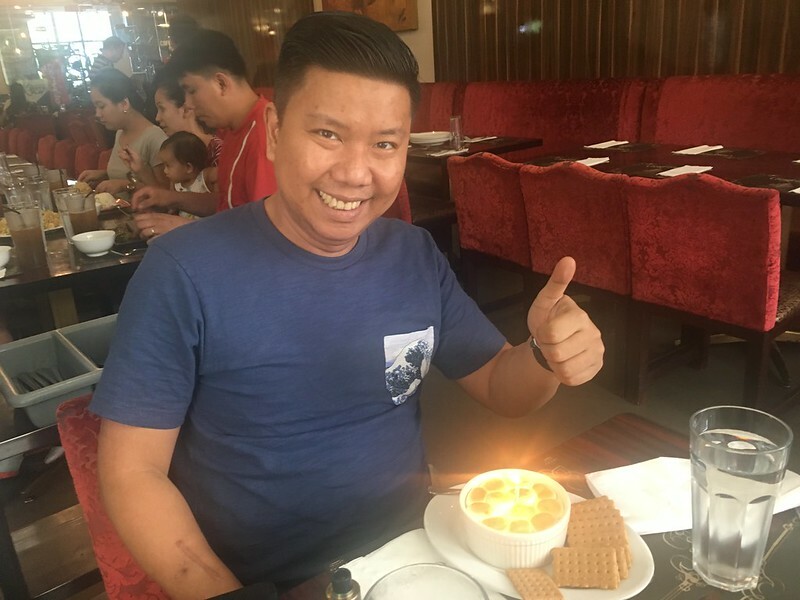 When top musical acts such as Katy Perry, Ariana Grande, Smashing Pumpkins and Paramore had their concerts in the country, Bistro Charlemagne was in charge of keeping the stars and their entourage well-fed. Six: On a budget? No sweat! 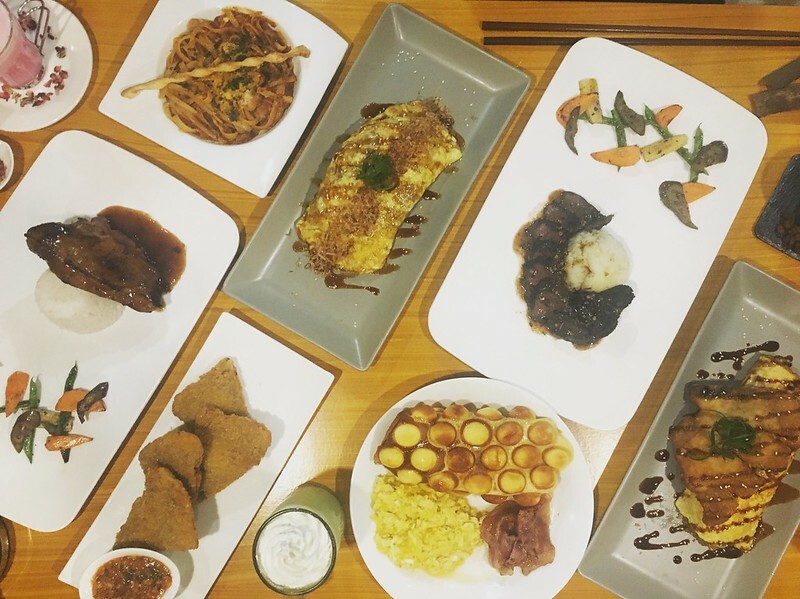 When petsa de peligro comes along, you can still satisfy your craving for your favorite Bistro Charlemagne dish with a set meal at only Php215! 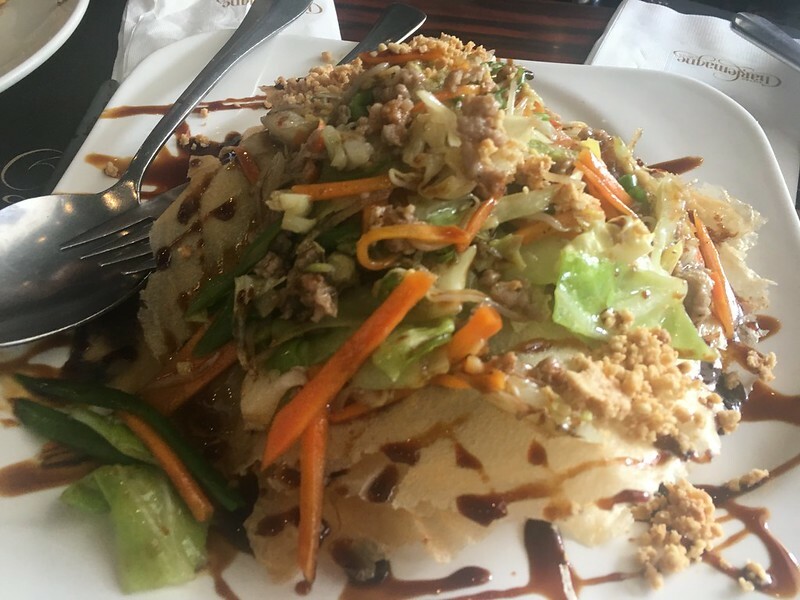 This already comes with rice, soup and iced tea. 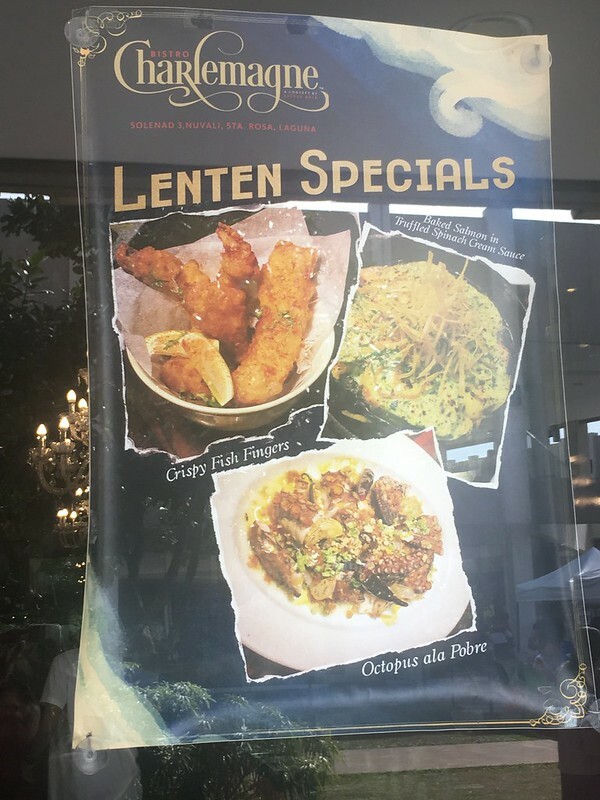 Even if your road trip takes place in the days leading to the Holy Week, you can still keep your Lenten observance with Bistro Charlemagne’s new seafood offerings such as Crispy Fish Fingers, Octopus ala Pobre and Baked Salmon in Truffled Spinach Cream Sauce. 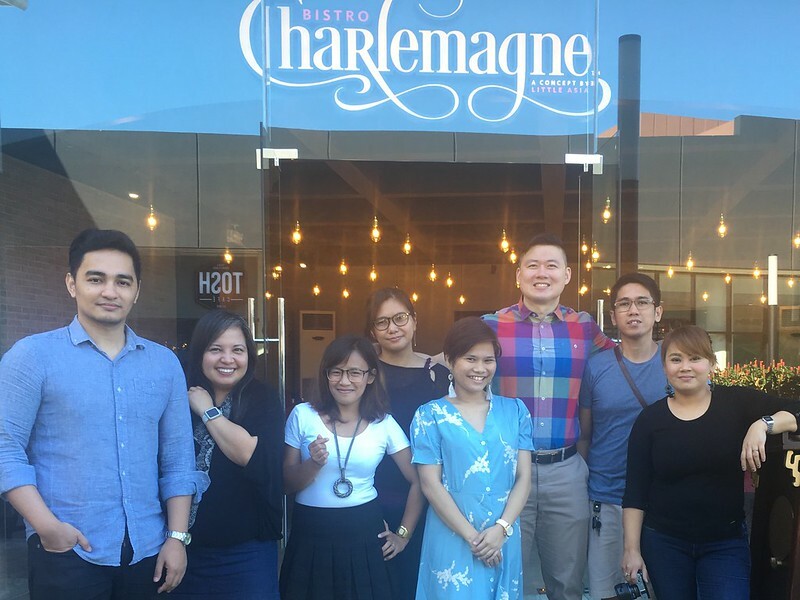 Thanks to Bistro Charlemagne for serving as the tasty final stop of our Tagaytay weekend sojourn! 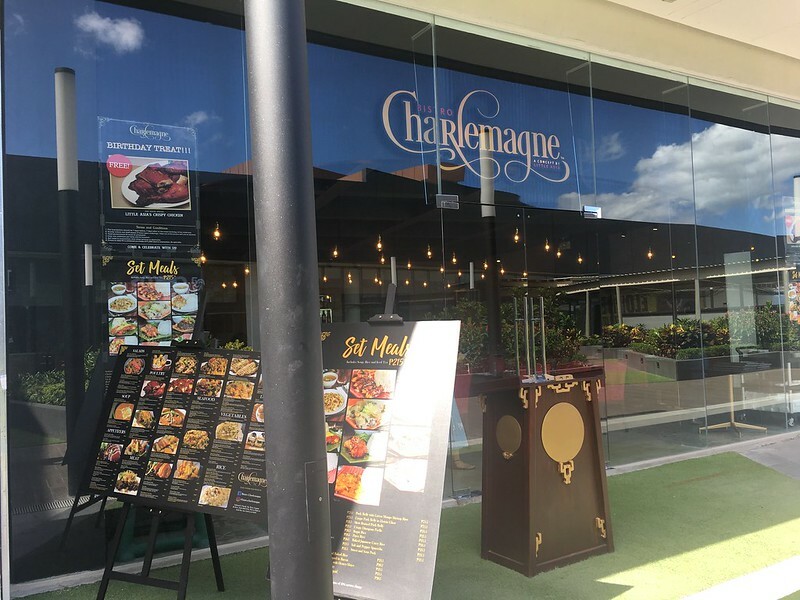 This Bistro Charlemagne branch is located at GFF-6, Building B, Ayala Malls Solenad 3, Nuvali, Don Jose, Santa Rosa, Laguna. Another branch is found at Fifth Floor, Ayala Malls Feliz along Marcos Highway, Dela Paz, Pasig City. 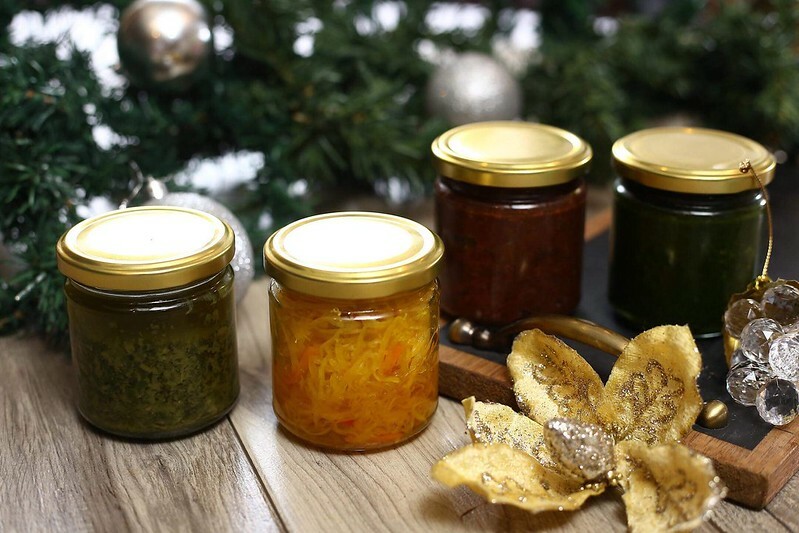 Make your holiday gatherings and gift giving more special with unique and delicious finds from Ilustrado Restaurant. 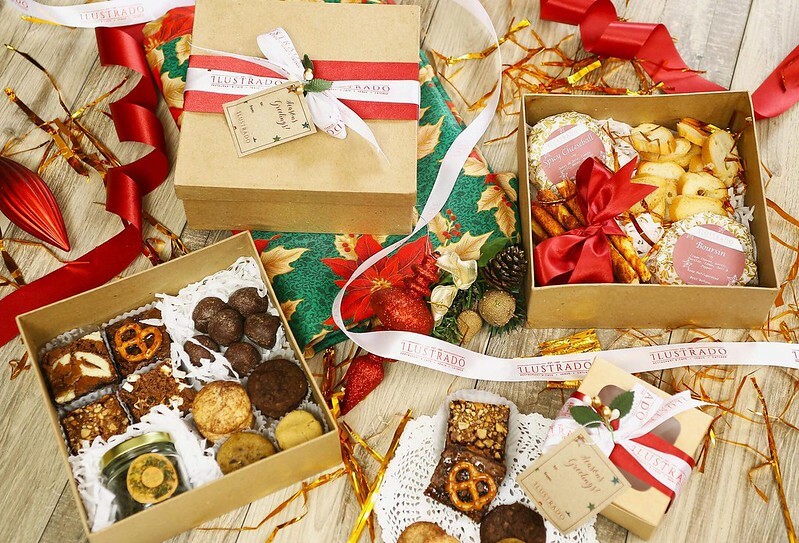 Ilustrado’s Holiday Tienda offers something for everyone. 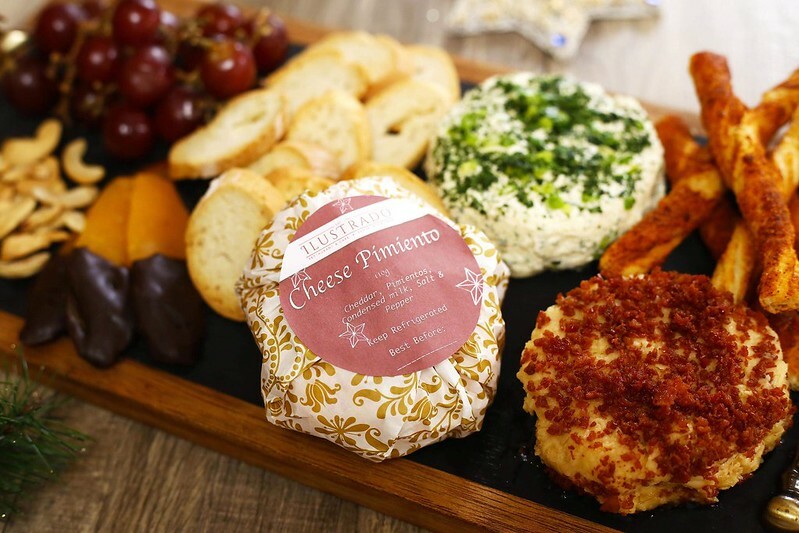 The cheese lover will surely love homemade cheese wheels in Boursin, Pimiento (a sure kids’ favourite! 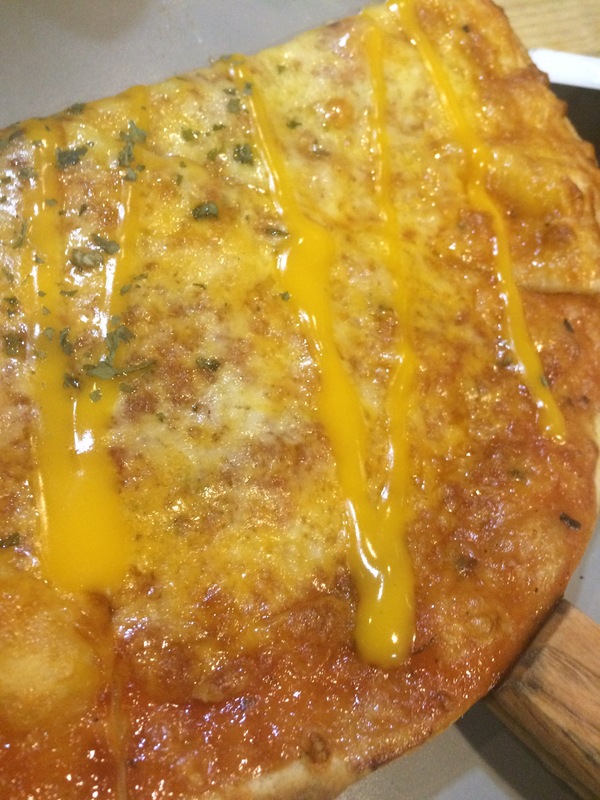 ), Spicy Cheese – Edam with garlic and spices, varieties. 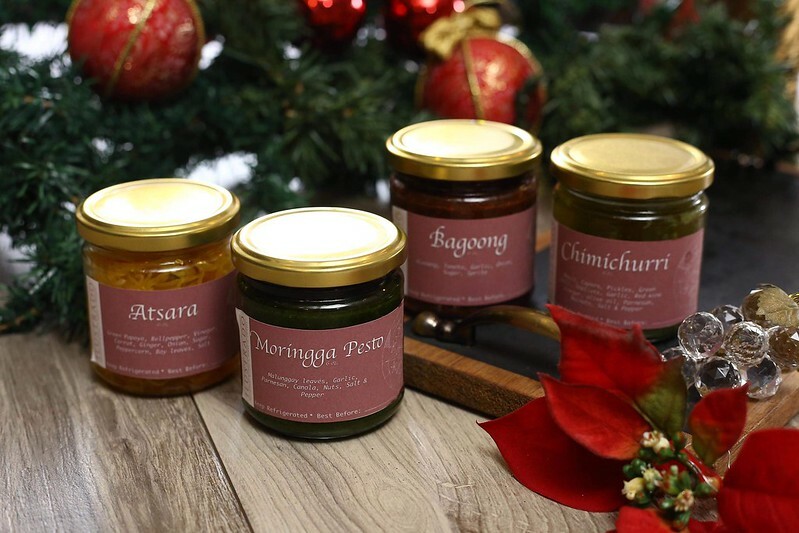 You cannot go wrong with bottled Atsara, Bagoong, Moringga Pesto, Gourmet Tuyo and Chimichurri. Tea Cookies come in boxes of 12 cookies in flavors of Double Chocolate, Coconut, Matcha Chocolate, Peanut Butter and Snickerdoodles. 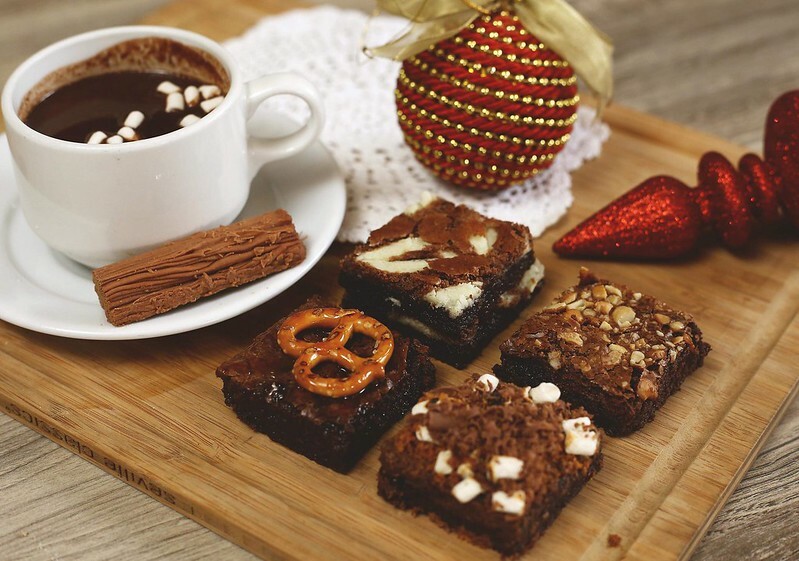 Brownies come in boxes of 4 bars with Cashew, S’mores, Salted Caramel, Pretzel and Cream Cheese flavors. Ready to serve for a party are Cake Squares in a box with these delectable selections – Baked Cheesecake, Chocolate Fudge and Sans Rival. Cheese Pimiento Wreath and Quezo de Bola Ensaimada Tree are both unique, festive and appetizing. A new addition to their lineup are fun Artisan Holiday Boxes dubbed “Christmas Morning” – a selection of cookies, brownies, loose leaf tea and tablea chocolate while “Holiday Cheer” is a Graze Box with Jamon Serrano, Chorizo, Stuffed Lychee with Roquefort and Pistachio, Chorizo Puffs, Spicy Cheeseball, Boursin Cheeseball, Chocolate Dipped Dried Mangoes, Crostini and Pretzels, Mandarin Oranges, Marinated Tomatoes and Olives. 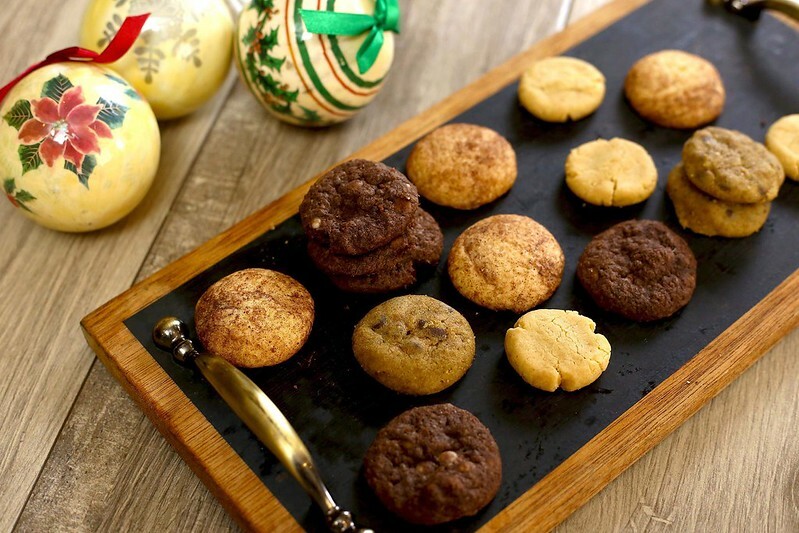 These are the perfect hostess gifts to bring to a party or as gifts in themselves to those you hold dear. 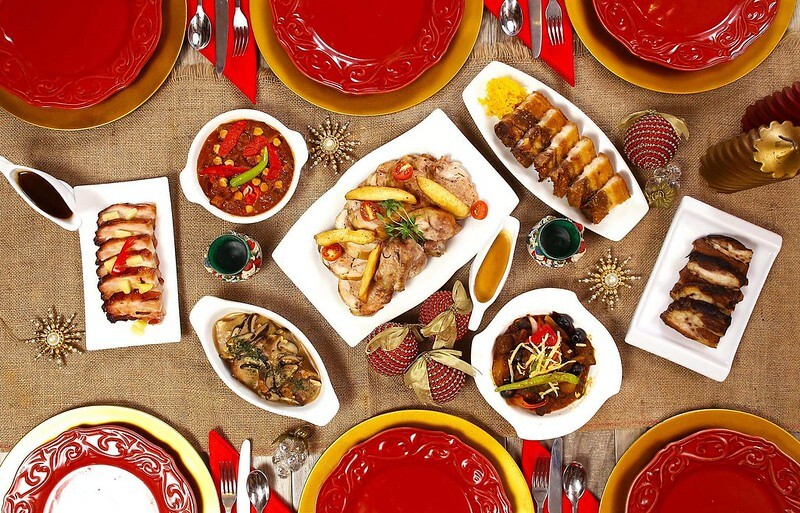 To spruce up your Noche Buena table, choose from a long list of mouthwatering selections: the stellar Twice Cooked Angus Beef Short Plate is a must order along with Adobong Bagnet with Taba ng Talangka, Callos Madrilena, Kalderetang Kambing, Lengua con Setas, Hamon de Hacienda, Stuffed Chicken Ilustrado (ala Relleno), Pineapple Glazed Leg of Ham and U.S. Prime Rib. 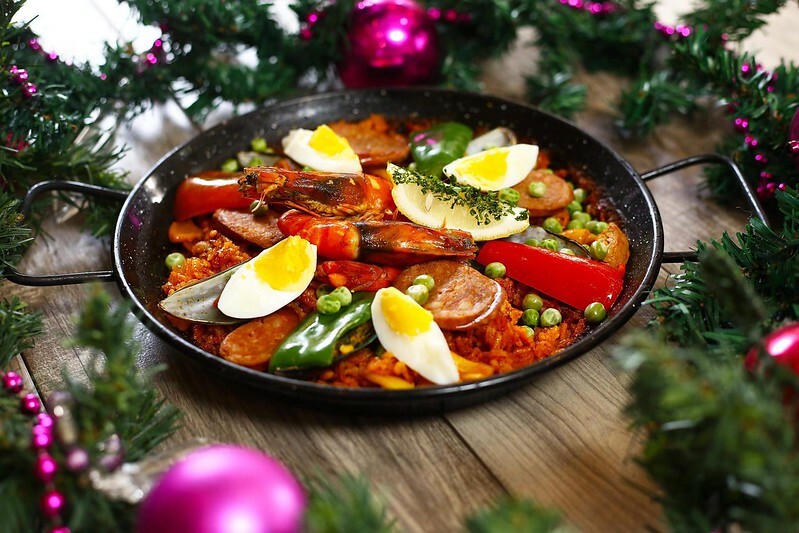 Your meal will not be complete without Ilustrado’s Signature Paella. Choose from Paella Ilustrado (Meat and Seafood), Paella Marinara (All Seafood), Paella Negra (Squid Ink)or Paella Bacalao. 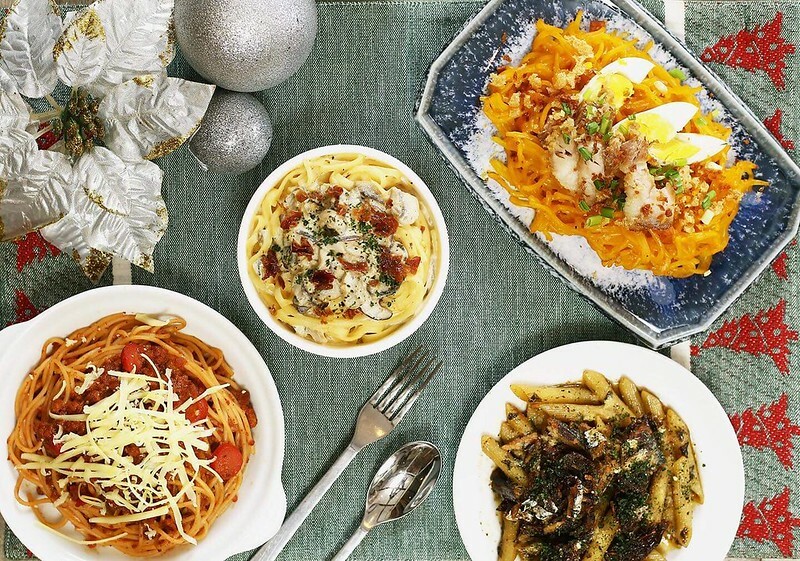 Those who like pasta and noodles can pick from Classic Carbonara, Espanyola (Spanish Sardines, sun-dried tomatoes in extra virgin olive oil) Filipino Spaghetti, Ilustrado (Shrimp, olive oil, Paprika) Machito (Tenderloin Bits and Mushroom) Palabok with Bagnet and Pata Pancit. To know more offerings and other details visit Ilustrado at ‪744 General Luna Road‬, Intramuros, Manila (‪527-3674‬, ‪527-2345‬); Café Ilustrado, 4th Level SM Makati (‪818-6760‬) or Pasteleria Ilustrado, 2nd level, Alabang Town Center (‪0919-845-9503‬) or email caterings@ilustradorestaurant.com.ph or log on to www.facebook.com/ilustradorestaurant/. Check out my previous post about Ilustrado Restaurant’s Degustation Menu here. Technology has enabled many changes to the way we work: with mobile devices, wireless data access and internet-enabled communications and file-sharing applications, we now have the option to work outside our offices. In fact, doing so might even make us more productive: it takes us away from the stress of commuting and a lot of workplace distractions. However, when working from home is not an option, remote workers are faced with a conundrum: where to work in comfort and still be productive? And for foodies like me, where to get good food to fuel the day’s work. 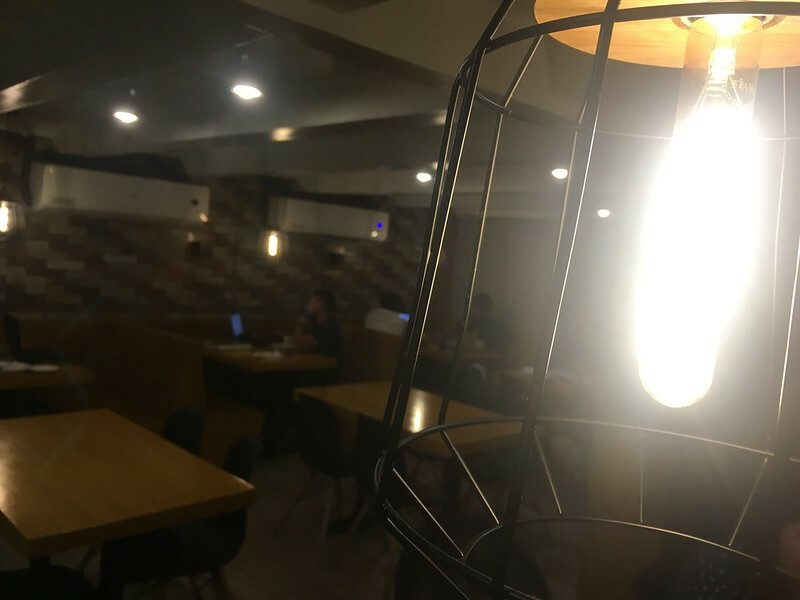 Fortunately, Quarks & Quills Study Center and Work Cafe offers both a quiet and comfy space to work, as well as healthy comfort food to keep tummies satisfied. 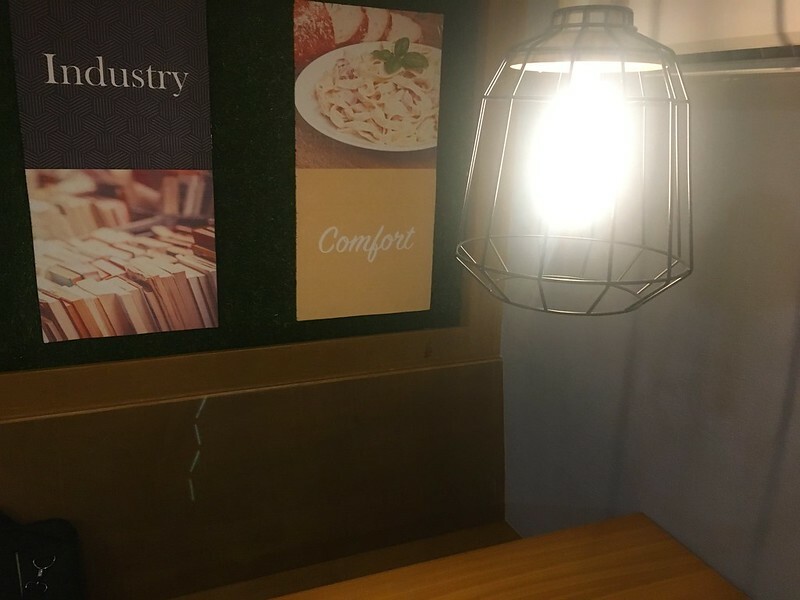 Located in one of the suburbs of Quezon City, the cafe boasts of quiet and cozy nooks for studying or working, free WiFi access, as well as power outlets for charging laptops and mobile devices (essential for the “always-on, always-connected” peeps like me). 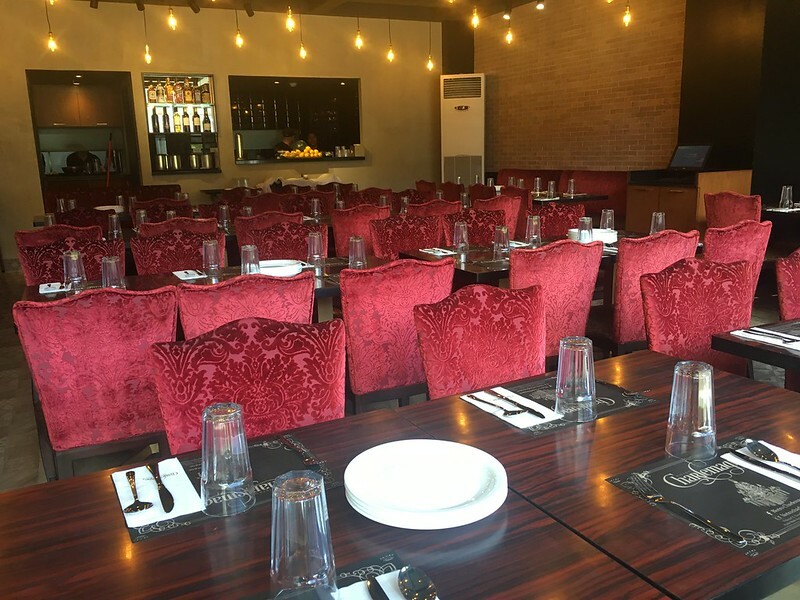 It also has function rooms upstairs for group meetings that can be reserved for a consumable amount (Php800 for up to 6 people and Php1,500 for up to 20 people). Reservations just need to be made a day in advance. It also offers after-school tutorial services and enrichment programs in Math, Science and English for students. Those who want to learn Chinese can benefit from Mandarin and Fookien held upstairs. 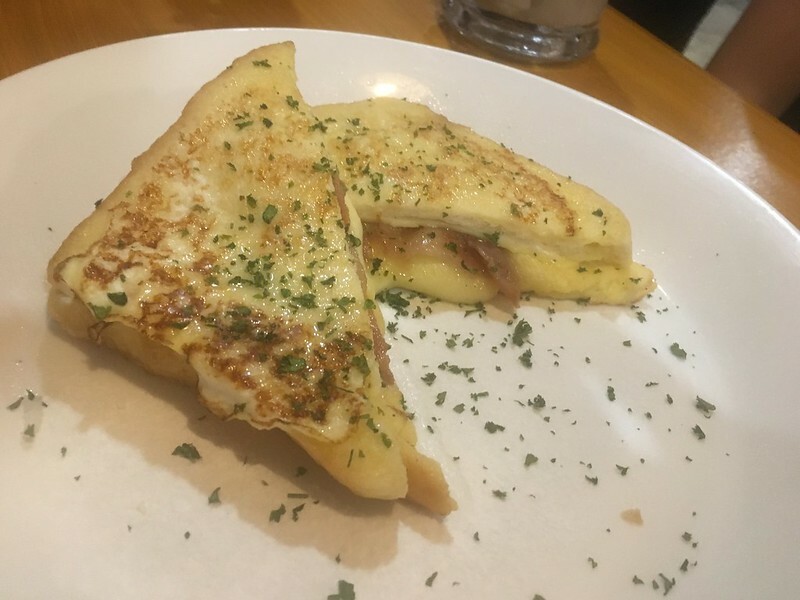 Monte Cristo (Php125). French toasted sandwiched with a hearty filling of cheese and homemade ham. 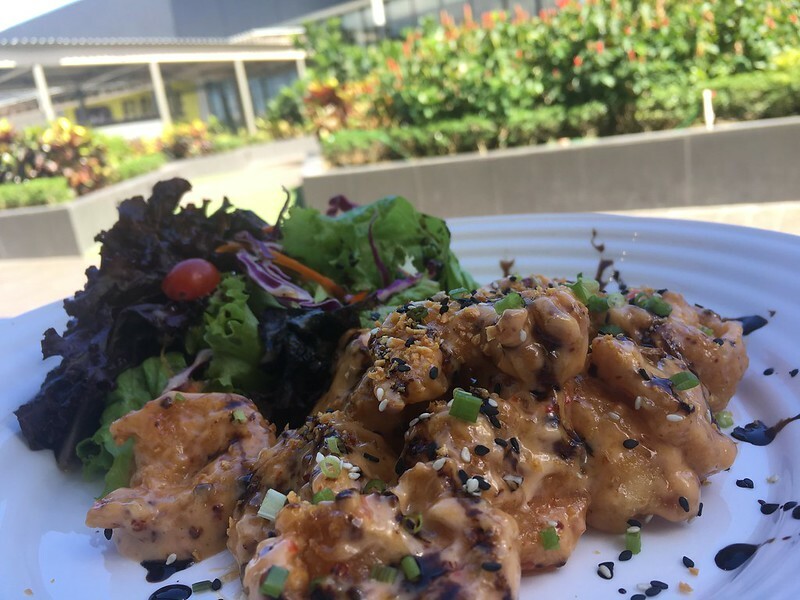 Tinapa Wontons (Php105). 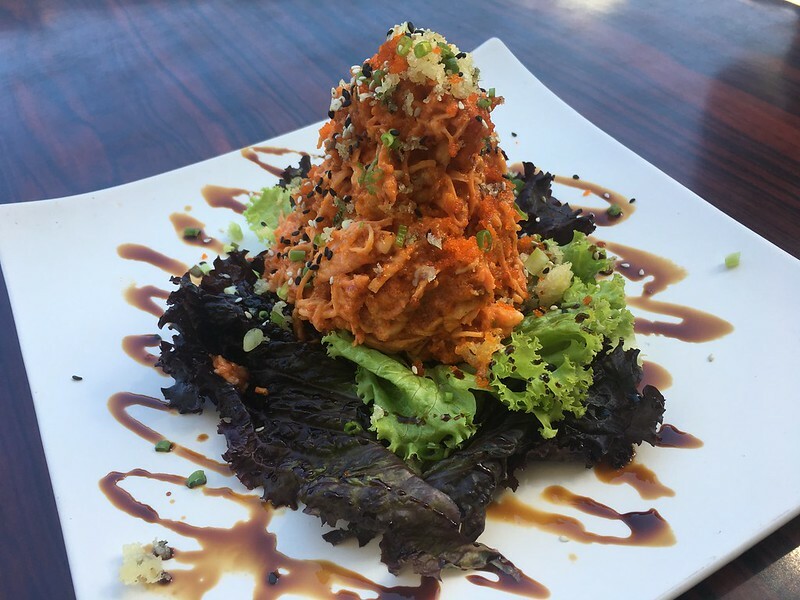 Smoked fish flakes in wonton wrappers fried to a crispy golden brown and accompanied by a Spicy Tamarind Vinaigrette. 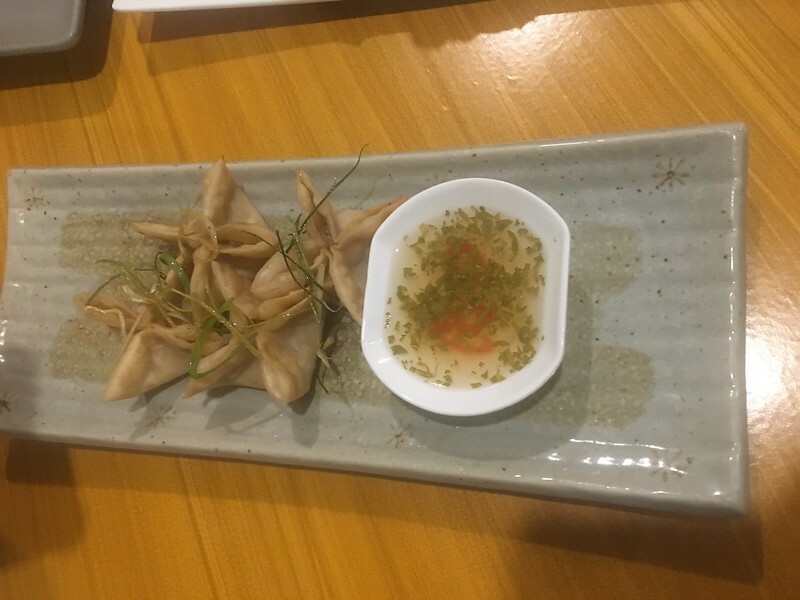 Gyoza (Php105). Dumplings filled with minced pork and aromatics which are steamed then seared for a crisp bottom. 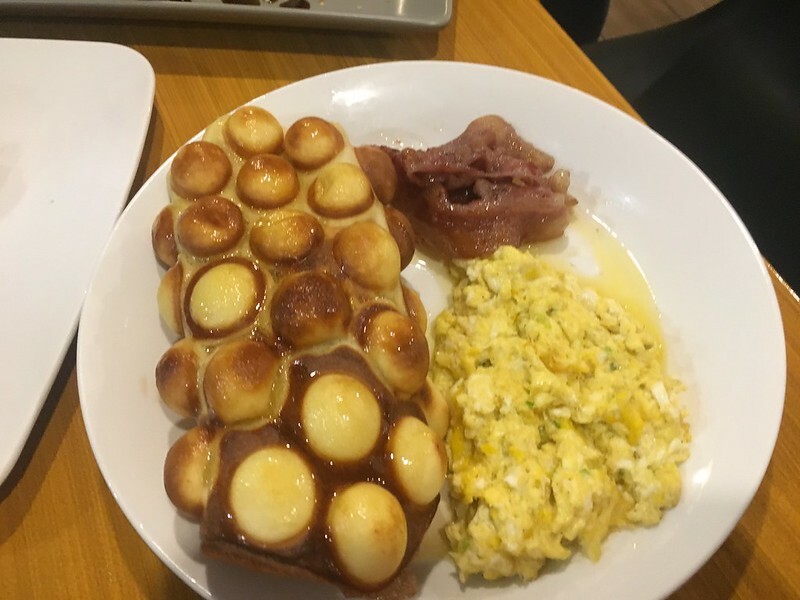 Breakfast Bubble Waffle Set (Php195). Unusually styled (bubble!) waffles served with slices of homemade ham and scrambled eggs. 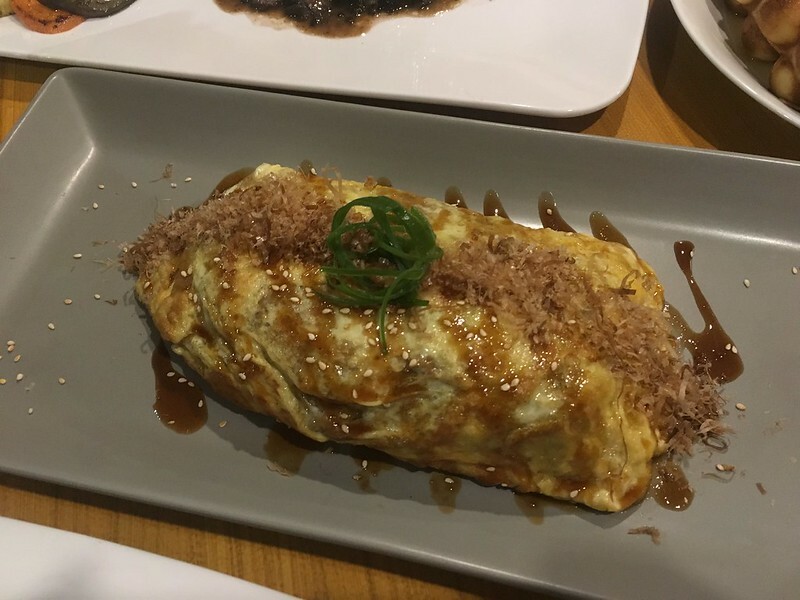 Its versions of Omurice, the fusion of omelettes and fried rice, also pack quite a punch: the Pork Katsu (Php195) with its fork tender pork bites drenched in tonkatsu sauce and the Miso Salmon (Php255) with flavorful salmon pieces drenched in the resto’s signature Miso glaze. These would go a long way towards satiating a hungry worker or student. 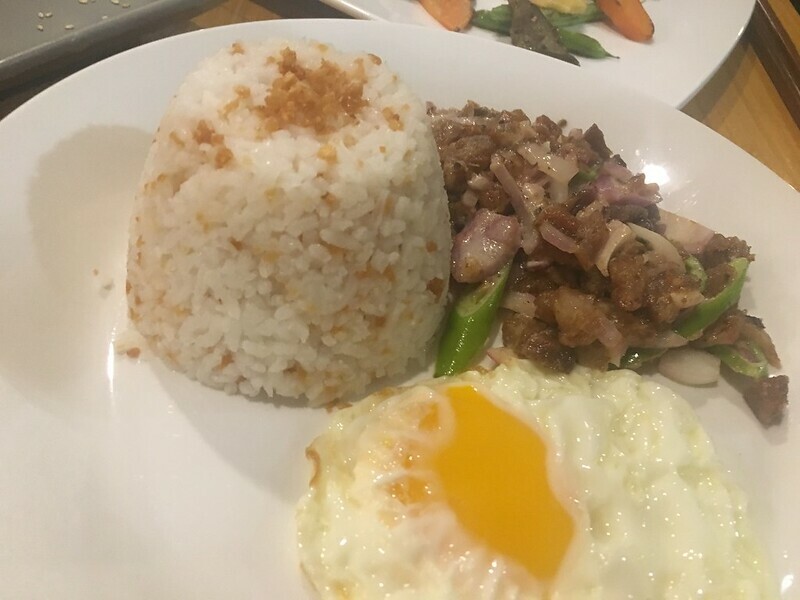 Sisig Silog (Php150). 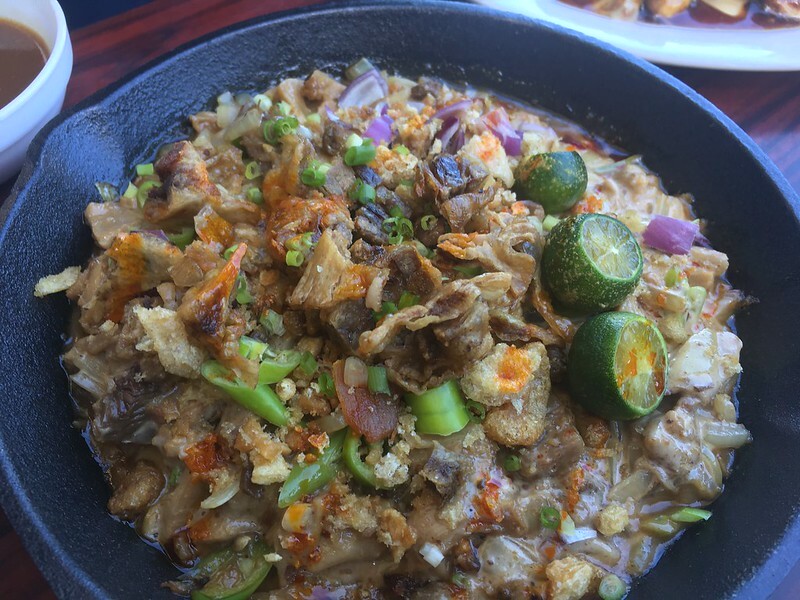 The combo of the slightly spicy sisig, egg and fried rice make for an energizing meal. 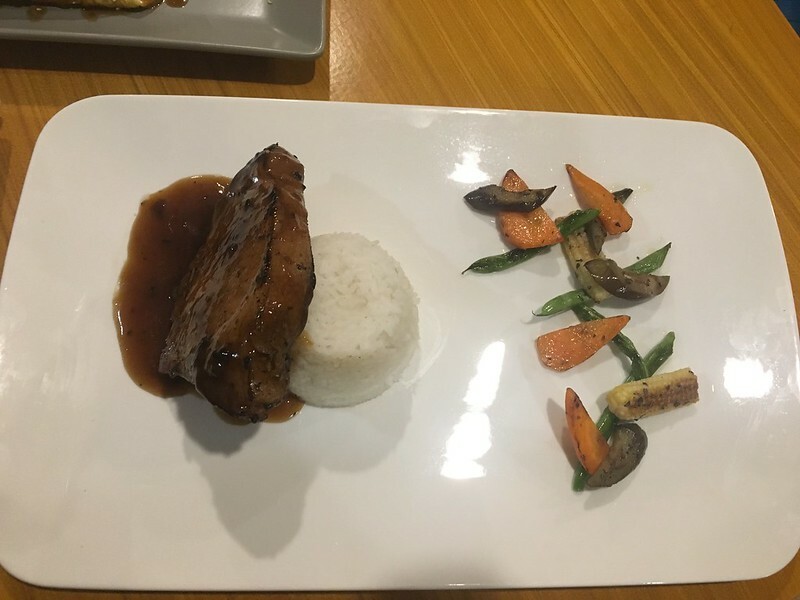 For those who brought a big appetite, the best bets this resto has to offer are its Executive Meals: the BSS Pork Chop (Php335) – BSS means Big, Soft and Savory, by the way!) 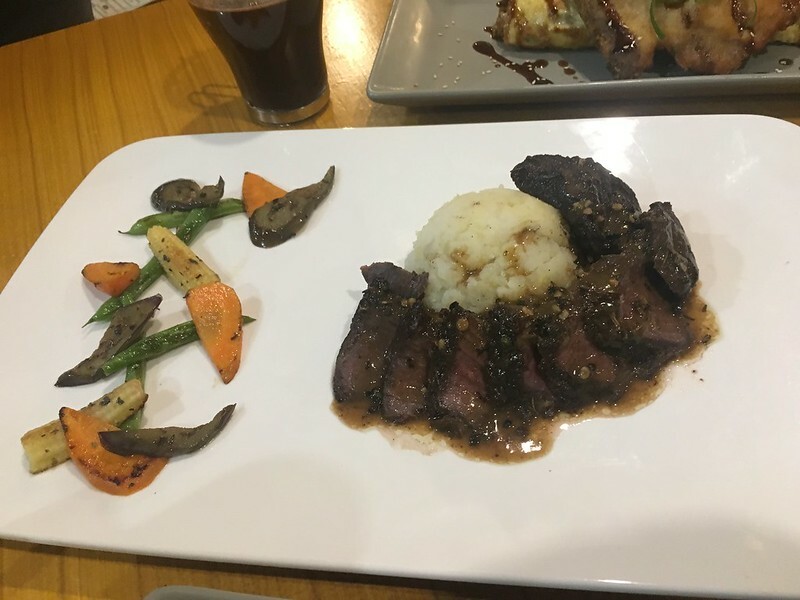 – and the Angus Hanger Steak (opening promo price of Php388). Both are quite good bargains considering the portion sizes, althought I would suggest specifying that the steak be cooked medium instead of well done. 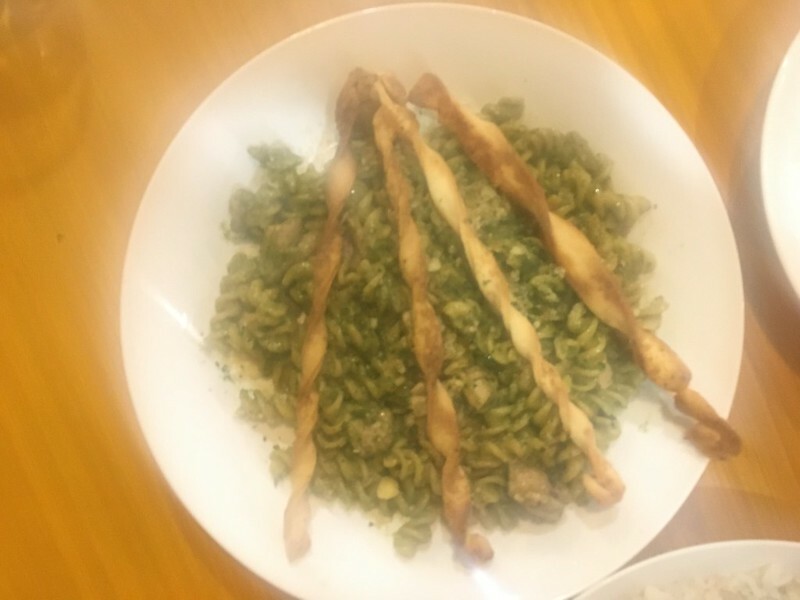 If you’re carbo-loading, you have quite a number of options among its pasta dishes: from its Creamy Alfredo (Php180), Fresh Tomato Pomodoro (Php190) and Fusili Pesto (Php205), all of which come with a cheesy twisty sourdough bread stick. 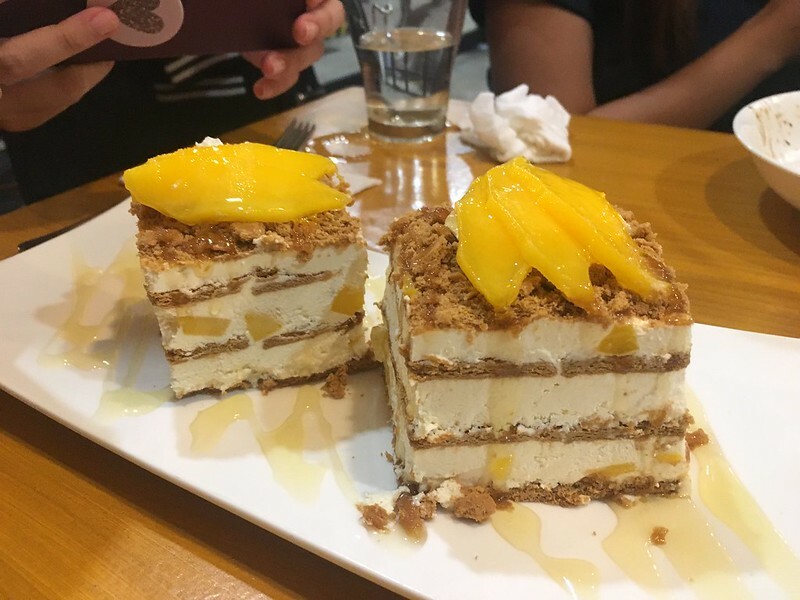 You can also cap off your meal or gift your family for special occasions with the resto’s decadent sweet treats that come in slices and whole cakes. 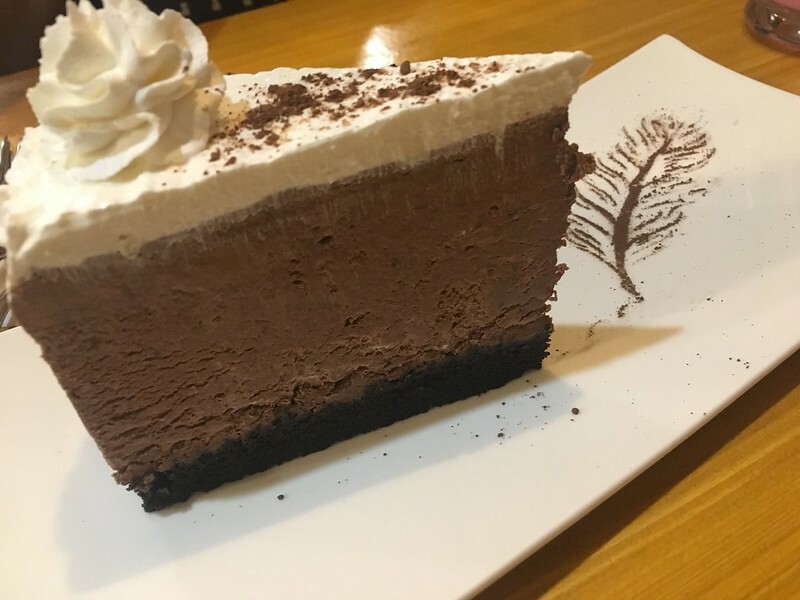 These include the Triple Chocolate Mousse (Php110 for slice | Php880 for whole) and Mango Graham Cake (Php135 for slice | Php1,050 for whole). 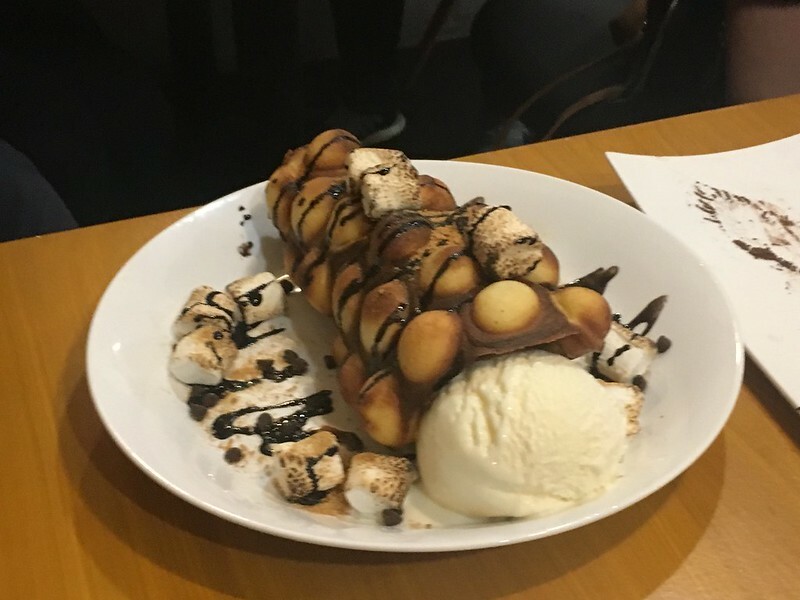 You can also opt for a S’mores Bubble Waffle (Php140). Apparently, at Quarks & Quills, the usual grid-style waffle is so basic. 🙂 This comes with some toasted mallows, a big dollop of vanilla ice cream and drizzles of rich chocolate syrup. Now, how to wash all those goodies down? I chose a light yet creamy Hot Jasmine Milk Tea (Php70), which I messed up during prep, hehehe! 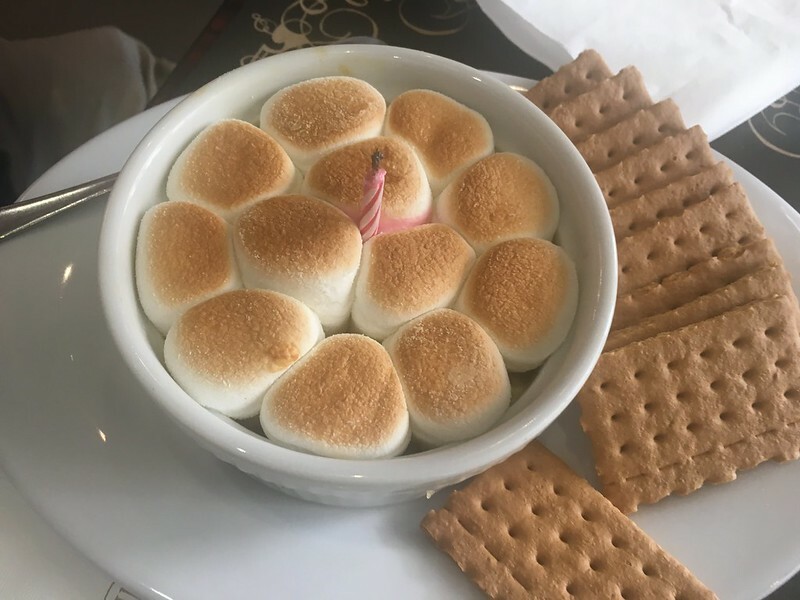 I’m also intrigued by the Hot Chocolate (Php80) which involves pouring the hot chocolate over a grid of solidified chocolate and toasted mallows. #HotChocolate makes any day a holiday. Especially if served with flair such as this concoction at @quarksandquills. . . . . . . #drinkstagram #drinkersofinstagram #drinkpic #drinksmnl #drinksome #drinkstime . . . . . . Follow me on IG/FB: @beingjellybeans. And do check out my blogs beingjellybeans.wordpress.com (for #foodiefinds, updates on #TVshows and #movies, and #fictionbook reviews) and thelearneratlarge.wordpress.com (for #businessbook reviews, #motivationalquotes and #trainingtips). 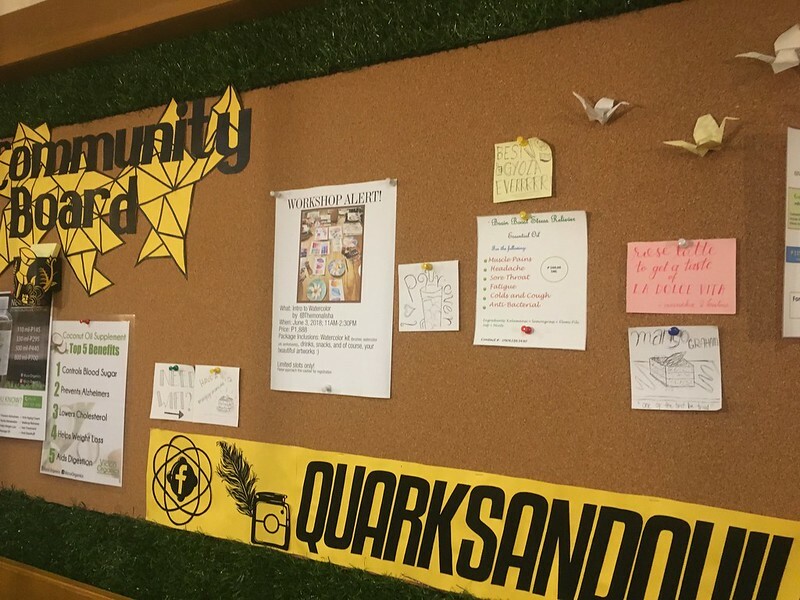 Whether you’re here to study, work or just go on a gastronomic adventure, Quarks and Quills definitely has something for you. My only beef is the resto’s exhaust that didn’t quite accommodate all the smoke from the cooking that’s going on. Still, all the food and drink options will make your visit worth it. And guess what! 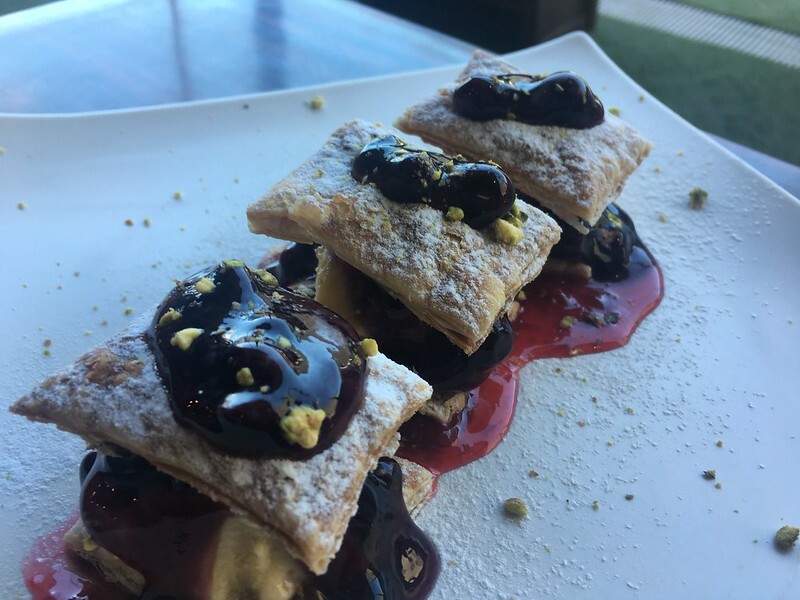 You can book a table at Quarks & Quills via Eatigo and enjoy 20% off your food bill. 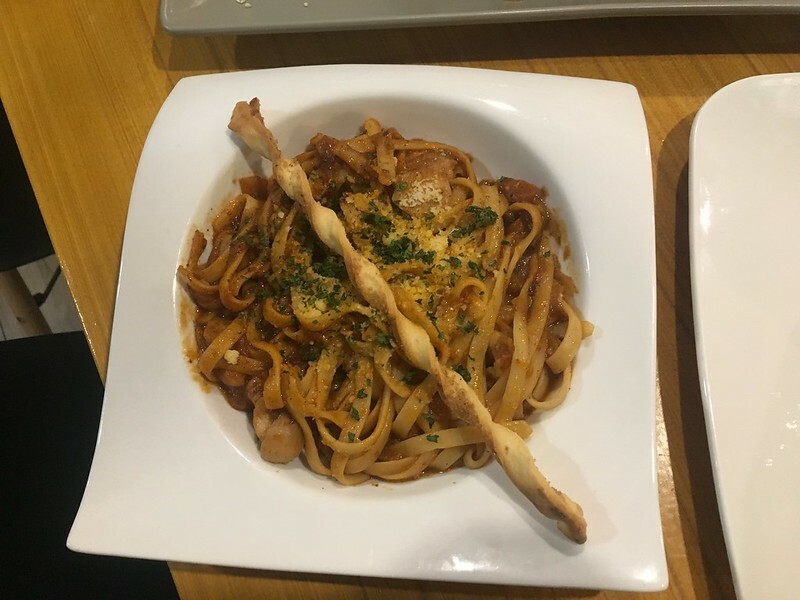 Not yet on Eatigo? Sign up here, book your table and attend your booking before January 31, 2019 for a chance to get Php500 Eatigo cash voucher. Quarks & Quills is located at 43-H N. Roxas corner Apo Streets, Sta. Mesa Heights, Quezon City and is open every day from 7am to 11pm. For queries and reservations, call +63 908 3719060, +63 956 0998913 or +63 2 8719502. Ever since this pizza place opened in the main street of my subdivision, I have been dying to try its offers. So the first chance I got, I took my kiddies here for Saturday night dinner. 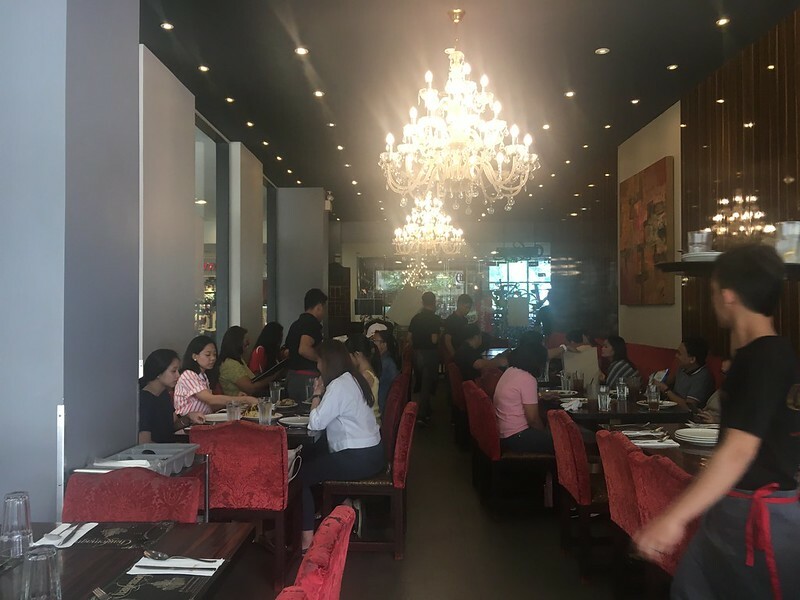 The place is quite small, just 30 square meters or so, but according to the owner, it’s already a big improvement compared to the original branch in nearby St. Joseph Subdivision. 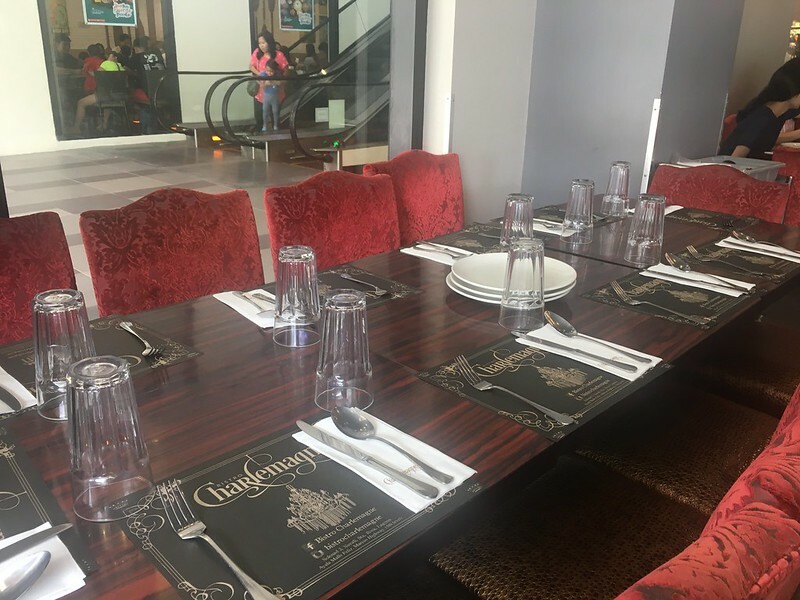 It has 6 tables inside which can comfortably seat 20 people and 2 more tables outside which can accommodate around 8 more people. I wouldn’t recommend dining outside as it is in a busy street with a lot of passersby and vehicle fumes. The interiors are well-lit with interesting rustic decor but quite cramped due to the small space. 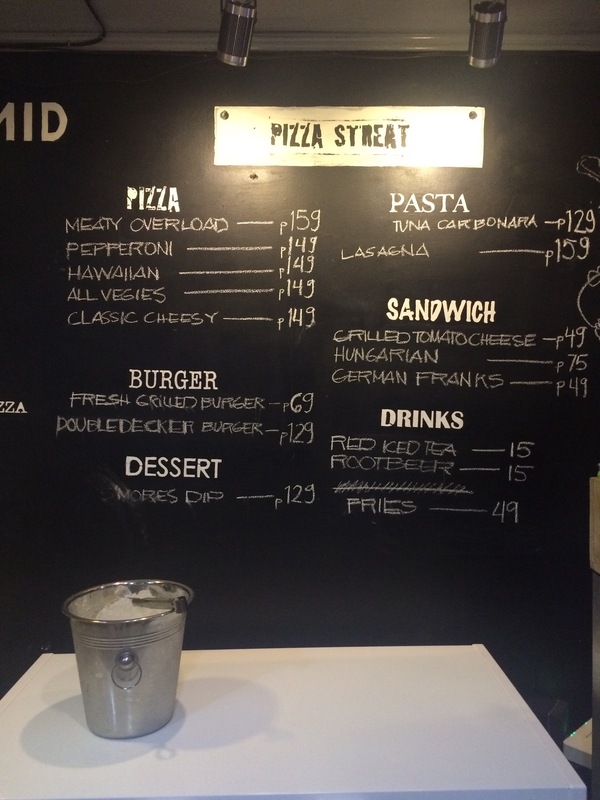 Pizza Streat‘s offers are quite reasonably priced, with pizzas ranging from Php149 to Php159. We ordered 2 pizzas: Pepperoni and Classic Cheesy. 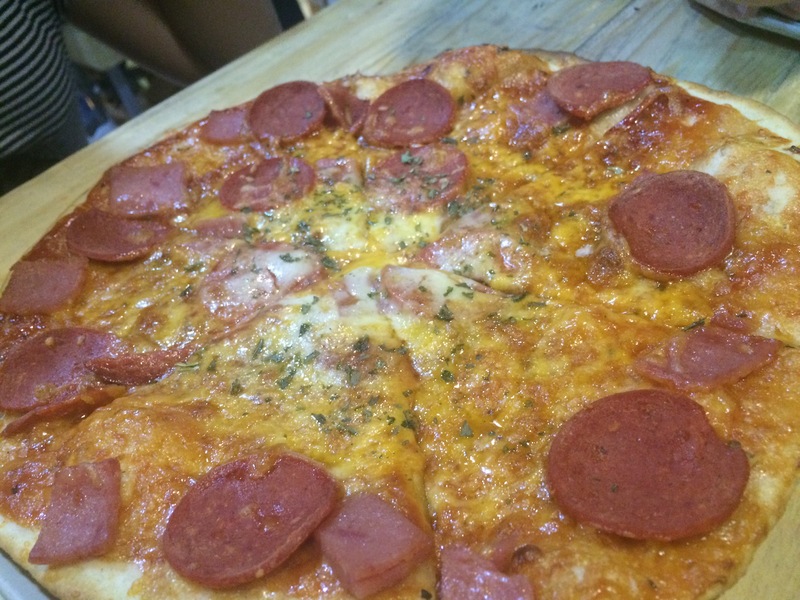 They were served piping hot; the crusts were thin and crisp, holding up well to the weight of all those stringy cheese and pepperoni toppings. 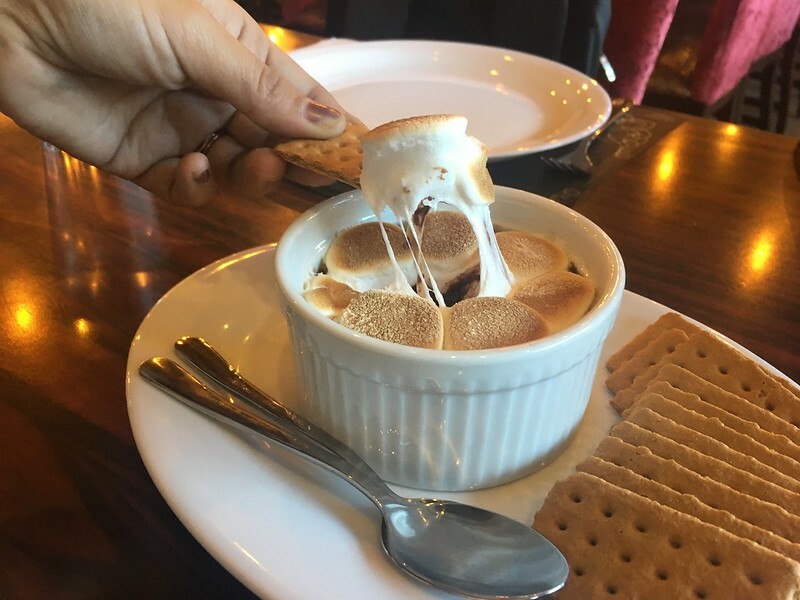 For dessert, we had S’mores Dip, marshmallows flambed to a fluffy and gooey consistency over a bed of chocolate in a heated cast-iron plate. 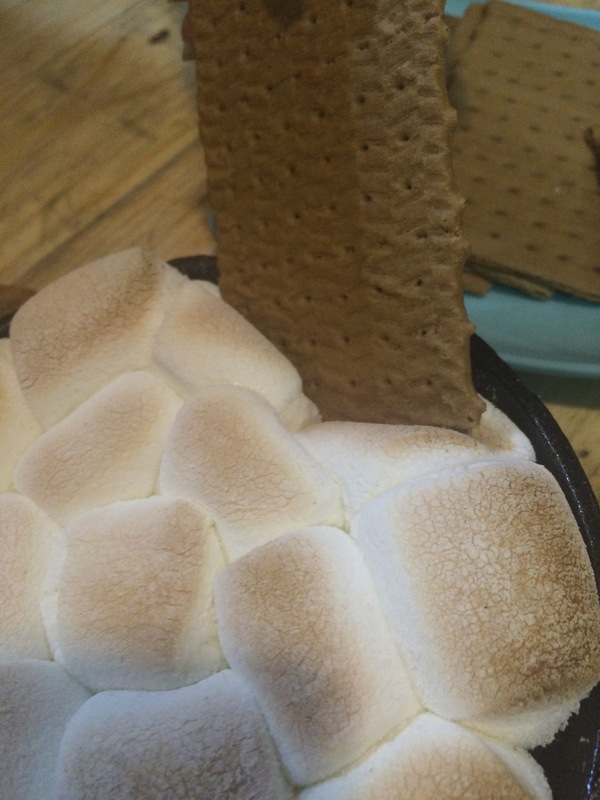 It was served with graham crackers which you can then dip in the S’mores. I was glad to know that this resto will order delivery soon. When I’m not in the mood to cook but too lazy to go out, I can just call my orders in.